The sale of Berlin-based Fyber to RNTS Media last year for $190m was touted as one of the biggest exits for a European ad tech company, demonstrating that Silicon Valley is not the sole domain for tech innovation. ExchangeWire caught up with Janis Zech, Fyber co-founder and chief revenue officer, to discuss the company’s transition since then, plus the prospects for programmatic advertising in Europe’s biggest advertising market. EW: In light of the recent acquisition of Falk Realtime, it has been speculated that Fyber wants to position itself as a ‘specialised SSP,’ can you explain more about this proposition? JZ: The last three years, Fyber has been heavily investing into creating a specialised mobile supply-side platform to enable app and game developers to create smart ad monetization strategies. With the acquisition of Falk Realtime (Falk), we’re doubling down on our programmatic and ad serving capabilities to strive towards a cross-platform, ad format agnostic infrastructure platform that solves the common problems for more client verticals, with a more sophisticated approach. 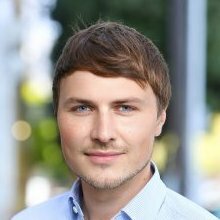 EW: Since the announcement of the deal, how have Fyber and Falk Realtime been going about the process of integration? If the deal has yet to be finalised (legally, financially, etc) can you offer any insight as to how you see the two fitting together, and how this will benefit publishers? JZ: Of course, happy to elaborate. The deal is officially closed and our technology teams have been working together on integrating the programmatic and ad serving stack into Fyber’s mobile advertising platform. In the near future, Fyber publishers will be able to set up open and private exchanges via the integrated solution, as well as use the Fyber Ad Server to sell directly to agencies and clients. In addition, existing clients of Falk Realtime will be able to benefit from Fyber’s mobile capabilities. EW: Fyber has also mentioned that mobile video is one of the biggest drivers of demand at present, do you see this coming from the ‘new breed of publishers’ (such as app developers), or ‘legacy publishers’ (such as traditional print publishers)? JZ: When starting in mobile four years ago, video was still relatively nascent, but has nicely developed over the years with supply growing rapidly. Until recently, most demand came from app distribution campaigns. However, we now see more and more agencies & Fortune 500 brands starting to add mobile advertising into their mix and incorporate video as a core app monetisation product. Thanks to our R&D product investment over the last two years, our mobile video growth has been on the up and up, with no end in sight. As we want to enable our publishers to tap into all sources of demand out there, we acquired Falk so that we can provide access to programmatic video revenues via private and/or open exchanges. In addition, we’re happy to see that Falk’s traffic on pre-roll inventory is scaling very fast as well. EW: In contrast of the two, do you see the freemium, or traditional ad-funded model fitting one profile of publisher over another? JZ: Both models exist and have its own set of pros and cons. On mobile we’re observing a trend towards the freemium model, which enables publishers to monetise their user base via direct payments, as well as advertising. We’ve grown up with freemium publishers, and our technology caters towards their needs. As a result, at Fyber, we believe in the power of the freemium economy, where smart advertising drives sustainable app monetisation. Our mission has been to provide the tools and services that empower app developers to flourish in a rapidly-evolving ecosystem. EW: In an earlier interview, you also mentioned that premium marketplaces, and programmatic direct would be key to Fyber’s proposition going forward. Do you see such a proposition as key to getting Germany-based publishers to buy into programmatic in a more enthusiastic way (given their reputation as being ‘cautious’ over embracing such models)? JZ: Yes, you’re right we’re excited about private marketplaces and programmatic direct capabilities. This goes back to my earlier answer about empowering publishers to tap into all layers of advertising demand via our technical infrastructure platform. Clearly, the open RTB protocol is very attractive and dominant for bringing buyers and sellers together when used properly. As publishers have different business models, it’s fair to say that technology needs to support both private exchanges and direct campaigns. With regards to Germany based publishers, most of our partners run global applications and don’t sit in Germany, hence they view the world differently than traditional media companies. EW: Fyber’s purchase by RNTS Media has been touted as one of the biggest programmatic exits by European ad tech companies in recent years. What do you see was the key value that helped spur this exit, and how important a role will it play in RNTS’ proposition going forward? JZ: For Andreas [Bodczek] and I, as the co-founders of Fyber, the transaction was a major milestone to work towards our vision: To empower app developers to execute smart ad monetisation strategies across all connected devices, through our unified mobile supply-side platform. Fyber is now the core strategy for RNTS Media. Andreas and I joined the RNTS management board, with Andreas additionally assuming the position of RNTS Media CEO, on top of the Fyber CEO role. The transaction enables Fyber, within the RNTS Media group, to accelerate growth and build a more meaningful ad tech company. We believe there are still many unsolved issues within the mobile ad tech ecosystem and are excited to create solutions for smarter ad monetisation as an independent and agnostic company.